We are presenting for our clients an excellent quality range of Square Washers. Third Party Inspection: Allowed. Charges to be borne by buyer. 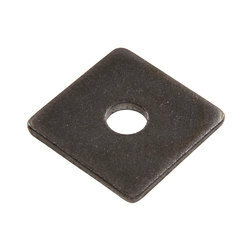 We are the most prominent manufacturer and supplier of a wide array of Square Washers. 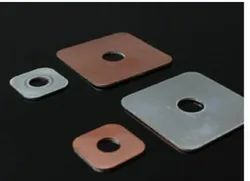 Square Washers can be manufactured as per your requirement, drawings and samples in different types such as Square, rectangle, C type washers with Knurling etc. Square washers can be provided as per IS 5373. Washers in different materials and types can be provided as per your requirements. Riding on unfathomable volumes of industrial expertise, we are providing a broad array of Square Washer. Our company has sculpted a remarkable place in the market as a reputed manufacturer of Square Section Spring Washers.